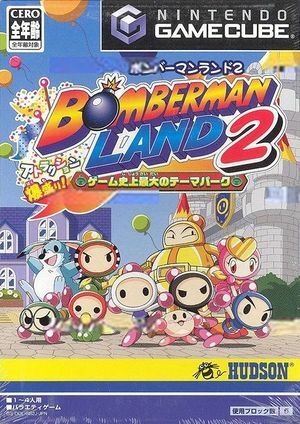 Bomberman Land 2 is a party game developed by Racjin. The game was released only in Japan in 2003. The Widescreen Hack contained in Dolphin does nothing except in the Bomberman Kart stage. The Gecko code will make it do something and fix the clipping issues in Bomberman Kart as well. The graph below charts the compatibility with Bomberman Land 2 since Dolphin's 2.0 release, listing revisions only where a compatibility change occurred. This page was last edited on 27 February 2018, at 11:15.